Pizza is an amazing food product (it is my favorite food, so get used to semi-regular pizza posts). Just about everything on a pizza is interchangeable and can be personalized. 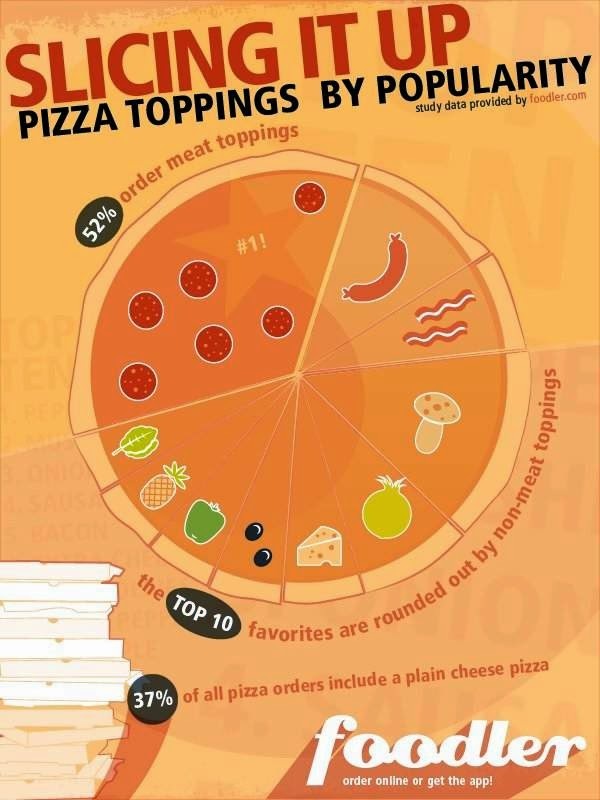 While even the standard building blocks of pizza (dough, sauce, cheese) can be swapped out, the part of the pizza that is about as diverse and open to interpretation is the topping. Pizza toppings have always been pretty customizable over the years, but with the advent of the foodie culture, we have seen pizza creativity be taken to a whole different level. So what are our favorite pizza toppings? Online food delivery service, Foodler has that answer for us. They’ve created this quick infographic that illustrates our pie preferences. Most of the results aren’t very shocking, and it looks like the old standards are still going strong, but seriously, 37% of you prefer just cheese??? 10 Things You Didn’t Know About Pumpkins (Pumpkin Facts) Here are a few interesting pumpkin facts and stats that you may not have known. 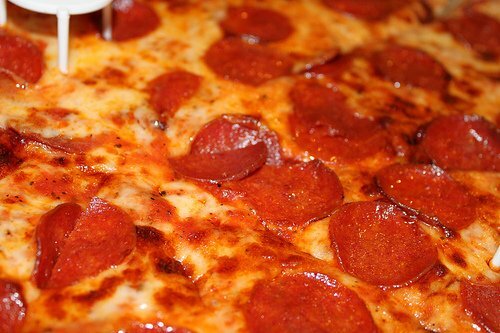 10 Things You Didn’t Know About Pizza (Pizza Facts) Here are 10 things I didn't know about pizza until now. Hopefully there are a few factoids in here that are new to you as well. 10 Things You Didn’t Know About Wine (Wine Facts) I recently sat down and dug up a few tidbits you may not have known about wine. I hope you enjoy!